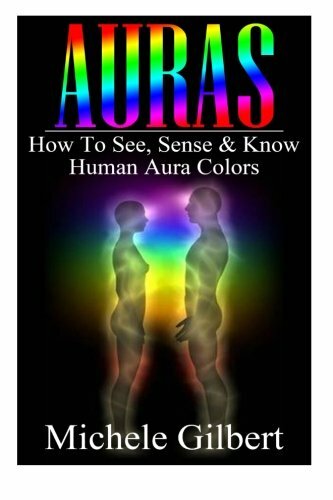 In this article Aura Colors Their Meanings Explained we look at the human aura and then an overview of the differing colors that make up an aura. 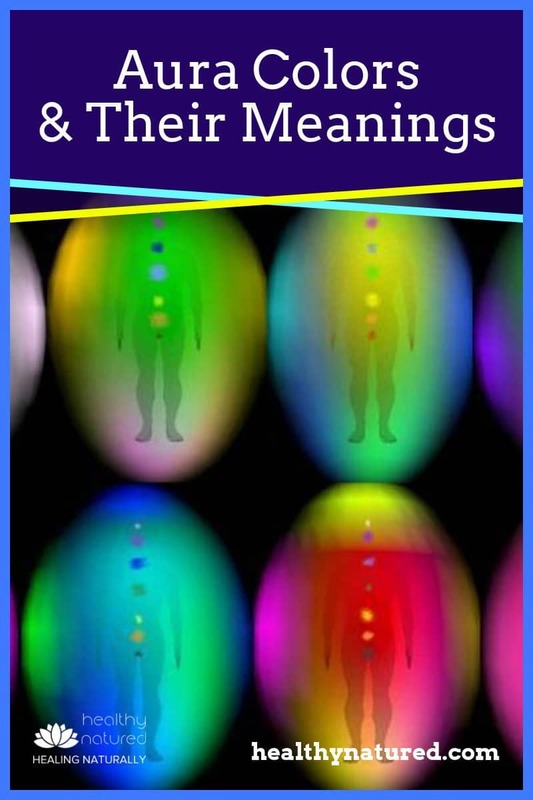 We also examine the aura color meanings. 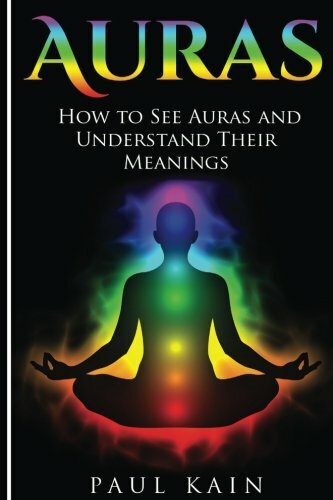 Aura Colors Their Meanings Explained. So What Is The Auric Field? All living things, vegetation, animal, human etc, are surrounded by an Aura. The Aura is merely the energetic field which is created by all living things. 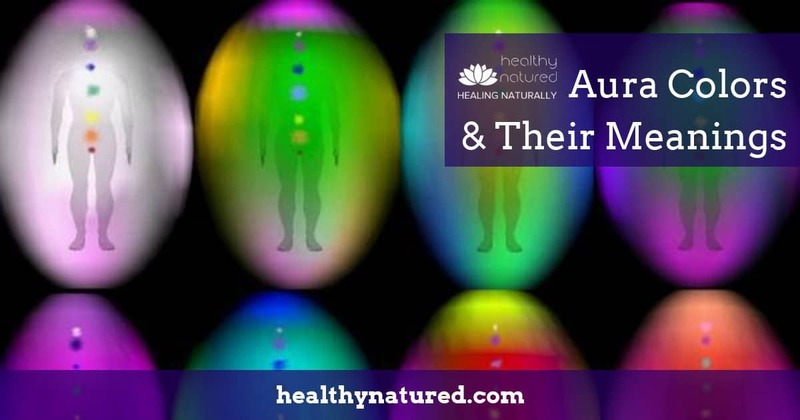 The Human Aura is made up of different colored bands or blocks of energy (including light and sound vibrations). When viewed, the aura, resembles the shape of an egg and encompasses the entire body. This is commonly referred to as the psychic energy field or, in some cases, the subtle body. The condition of their chakras – any blockages, imbalance or aspects requiring attention. 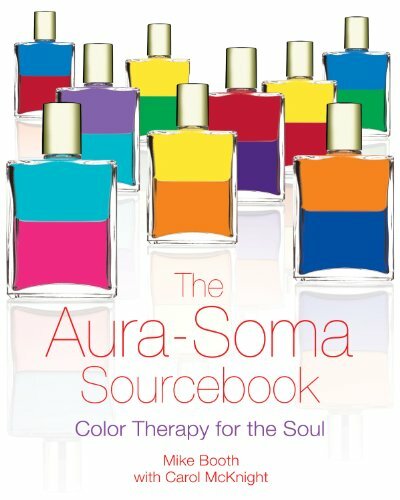 The Aura Base colors are closely associated with the chakra system. 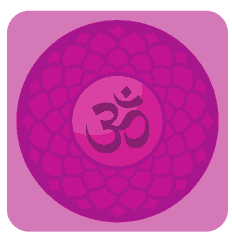 Crown Chakra – Violet (Sahasrara). Want to learn more? 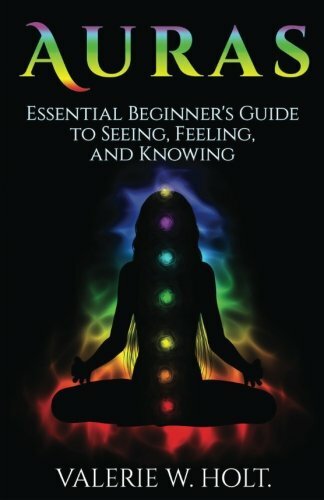 “What are the 7 Chakras?” gives further information about the chakra system and subtle bodies which make up the human aura and energy fields. 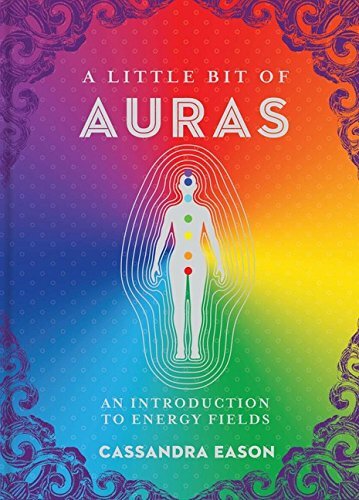 What Colors Can Be Seen In The Aura? 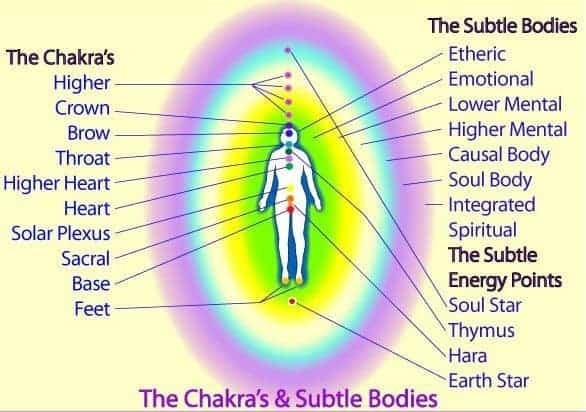 When we begin learning about the aura, and viewing the auric field, it is important to understand that not all 7 chakra colors will be reflected in the layers of the Aura. The colors in the aura relate specifically to the person and their current state. 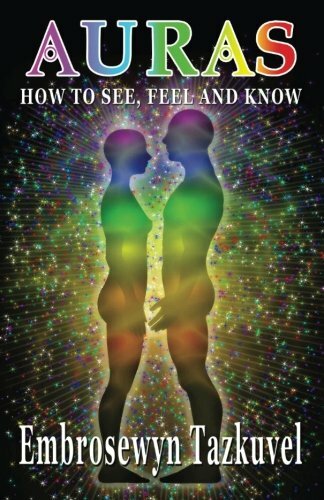 As you learn more, and spend time viewing the aura, you will be able to see the energy hubs of the chakras. You will also be able to interpret, from the depth of color and vibration, the health and well-being (or balance) of the persons energy centers. The colors (their density and combinations) seen in the outer layers of the aura reflect energy from chakras. This reflects our overall health and well-being, personality characteristics, spirituality and also any areas of concern. These patterns, combinations and colors will be different for each person. They are as unique as a fingerprint. 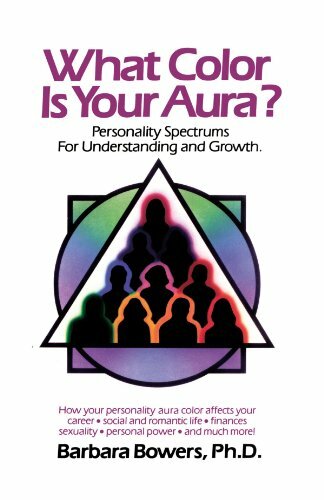 Remember the colors and patterns seen in our Aura are not fixed. They represent the person at the time of viewing, so will also be directly influenced by mood, health and general energy levels. Each person tends to have a constant degree of base coloration throughout life. 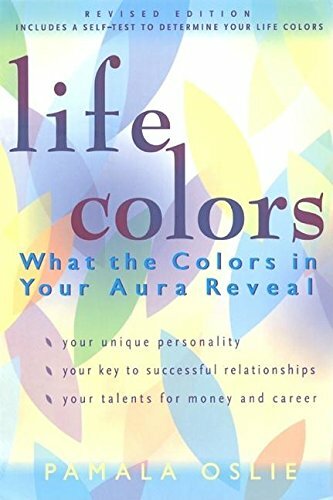 The base coloration is reflected throughout our aura and is the bodies main source of energy – this gives us our dominant personality type and characteristics. It is the Aura’s Subtle colors that will change. The subtle colors are those we seen within the base as dots, smudges, swirls, bands etc. These subtle colors reflect the energy spikes or imbalance within the person at that moment in time and relate to emotion, health, hopes and fears. 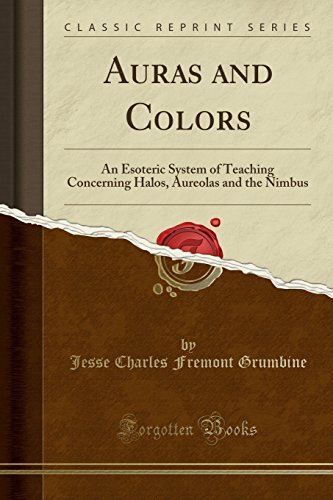 As well as the various colors that can be seen we also need to take into account the amount of color in the aura, whether the color is intense or dull and if it is deeper or lighter in tone. There can also be metallic colors within the aura, such as silver and gold as well as black, white and grey. The aura and the colors seen hold a multitude of information about our past, our present and our possible or predicted future. As well as providing an overview of a person’s current health we can also see any chakra blocks or imbalance, past situations requiring clearing, areas of work for spiritual growth and ongoing enlightenment and development as well as spiritual personality type and lessons to be learnt. 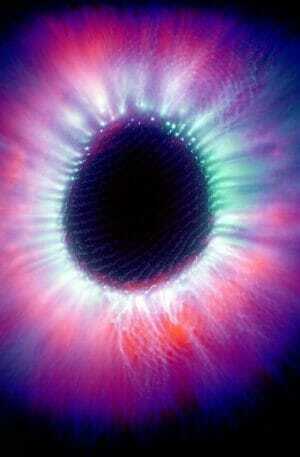 An aura is noticeable in many different ways to those who are sensitive to them. 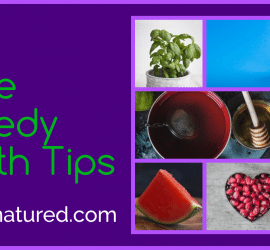 Many psychics, clairvoyants, clairaudients, spiritual healers and empaths (read more about what is an empath) are naturally sensitive to the vibrations of each specific aura layer and can visually see and intuitively sense the colors. 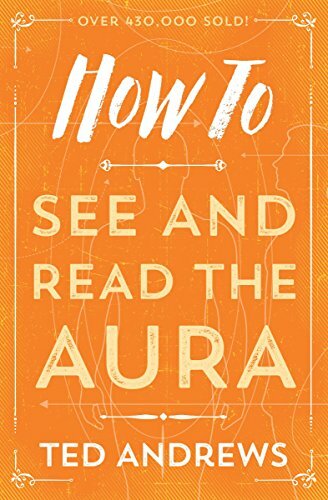 Everyone has the ability to view the aura. 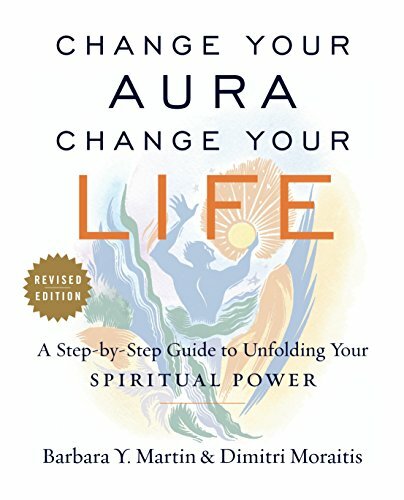 Overtime and with practice the techniques to be able to view the general aura can be applied specifically to the individual layers and allows us to understand and analyze health and well-being. It is widely accepted by most that the body emits energy (aura) and scientific technology now allows us to capture this on film. Kirlian and some other specialized camera equipment can be used to photograph and view the aura. The image to the right is that of a male fingerprint. As you learn more about the aura and the importance and significance of colors I recommend you wear and surround yourself (physically or using visualization) with the colors that you feel will benefit you individually on a physical, emotional or spiritual level. As with all health and spirituality we can influence and manifest our desires and wishes by positive affirmation and seeing our desired outcomes already in our life. Adding a specific color, or colors, to your visualization, dress or environment will bring forward the traits and associations of the particular color. In this section we look at the general meaning of each base color and then some specific shades and specific meanings of that base shade. 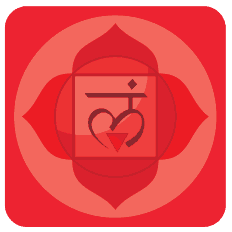 Red, closely associated with Muladhara or the Root/Base Chakra, is linked physically to circulation, our heart and the total of our physical body. As a highly dense color, it attracts and/or repels. Each color has both positive and negative features, yin and yang, therefore it is the shade and density which requires analysis along with the health of the associated chakra. In a positive light, red energy is indicative of a healthy ego. In a negative light, red energy can give way to feelings or physical outbursts of anger and being unforgiving. It can also indicate anxiety or feeling nervous. Deep Red – shows strong will, being grounded, a sense of survival and being realistic. Muddy Red– Shows anger. The location of this color indicates the nature of the anger. Clear Red – This color shows a person who is powerful, often very sensual and passionate. Clear Red indicates being energetic and highly competitive. This density of the clear red indicates the positive or negative nature of each trait. Orange Red – shows a person with confidence. Bright Pink – indicates a sensual and artistic person and is linked with affection, love, sensitivity and compassion. Bright vivid pink can also indicate clairaudience. Dark Muddy Pink – displays dishonesty and/or emotional immaturity. 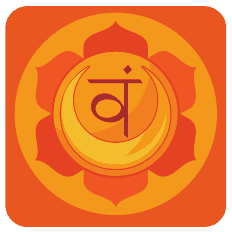 Orange, associated with Swadhisthana or the Sacral Chakra, is linked with our reproductive organs and emotional feelings. Overall orange is a color of good health, vitality and excitement. In a positive light, orange energy is highly productive and indicates a creative, sociable and courageous person. In a negative light orange can lead to us developing or having developed high levels of stress, anxiety and addiction. Orangy Yellow – shows intelligence and a detail oriented person who is scientific, creative, and often a perfectionist. Browny Orange – indicates a person with low level of ambition, maybe lazy and often indicates repressed emotions which need to be released and cleared. 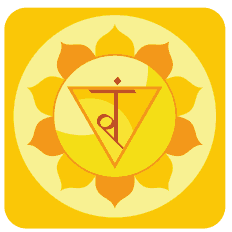 Yellow, associated with Manipura Chakra, is the color linked physically with our spleen and spiritually linked to our entire life and spiritual energy. Spiritually it is the color linked to “awakenings” and displays a person of optimism with easy-going (not to be confused with easily led or easily dominated) nature. It is also the color of inspiration and intelligence. Pale Yellow – this color is linked with psychic and spiritual awareness. It also signifies optimism, hopefulness and positivity. Bright Yellow – indicates a fear of losing control, fear of losing or lacking respect. Bright yellow indicates inner power struggles which may physically manifest in one’s life. It indicates a need (can be positive or negative) for control personally and in business. Clear Metallic Gold – The color that signifies a spirituality activated person or one going through an inspirational spiritual or emotional awakening. Dark Muddy Yellow Gold – indicates fatigue and stress usually linked to learning, studying or trying to gain too much knowledge at the same time. 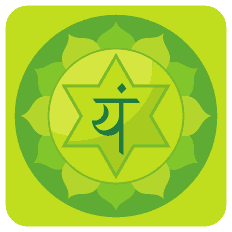 Green obviously links with Anahata or the Heart Chakra, and pertains to our heart and lungs. In a positive light Green represents our natural or current balance, our growth, ability to accept change and closely aligns with a love of people, animals and the natural world. In a negative light Green can be associated with envy, jealousy (green eyed monster) and insecurity. Emerald Green – indicates a natural healer and deeply compassionate and loving person. 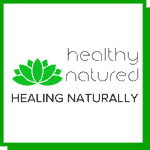 Yellow Green – is linked with communication. Communication tends to be open and heartfelt. Yellow Green indicates a highly creative individual. Muddy Forest Green – this color indicates a person struggling with jealousy. They may tend to be or play the victim. They can be insecure and tend to blame others. Deep browny green – deeper than forest shows a person highly sensitive to criticism and who lacks the ability to accept personal responsibility for issues in life. Turquoise is associated with both Manipura and Vishuddha (the heart and throat chakras) and is physically linked to our immune system. To have Turquoise within the aura speaks of a highly sensitive and compassionate person and is often related to being or becoming a healer or a therapist. 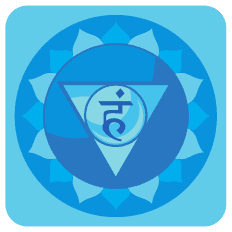 Blue, associated with the Vishuddha or Throat Chakra, relates physically to our throat and the thyroid. Blue is the color associated with being “cool, calm and collected”. It indicates caring and the development of a caring and loving nature. 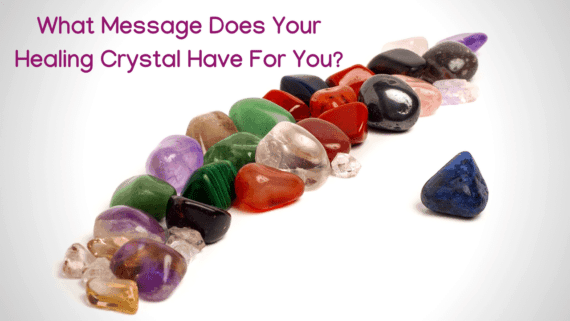 It is closely associated with spiritual sensitivity and intuitive energies. In a positive light Blue associates with peacefulness, clarity and developed intuition. In a negative light Blue can indicate fear, dishonesty and difficulty in communication. Light Blue – indicates peacefulness and clarity. This person is intuitive and truthful. Royal Blue – Highly spiritual and often indicates the ability of clairvoyance. This person will be very generous and always open to new opportunities. Muddy Blue – indicates a fear of expression, fear of the future and fear of speaking the truth. Indigo, associated with Ajna or the Third Eye Chakra links physically with our pituitary gland. In the spiritual Indigo is associated with intuition, spiritual awakenings of deep feeling and the development of psychic sensitivity. 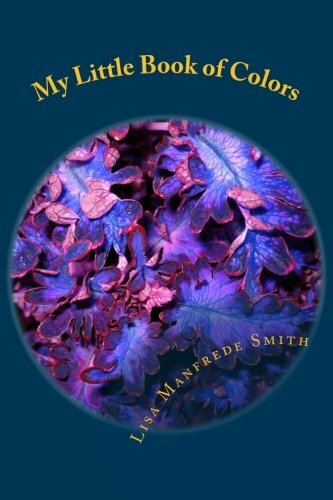 Indigo represents a person who sees on a spiritual level as well as physical. Indigo Auras are brave and fearless, both in the face of threats and just general challenges. Those with Indigo Auras are distinctly passionate and focused on the person inside rather than outward appearances. Violet, associated with Sahasrara or the crown chakra, is physically linked to the pineal gland and our nervous system. Violet is the most delicate and represents the most sensitive of coloration in the auric field. A person with violet in their aura is highly intuitive, and can be visionary both in the physical world they live and spiritually. Violet reveals developing or developed psychic ability. These people are often referred to by others as magical, deeply intuitive and highly artistic. People with a violet aura are often described as dynamic, charming, confident, and can be known as futuristic. They are in sync with their emotions and those of others. This makes them empathetic to the feelings of those around them. The Violet aura personality has natural leadership and intelligence however if imbalanced this can be outwardly seen as arrogance, or worse, narcissism. Lavender is associated with Ajna and Sahasrara chakras (the third eye and crown) and so is a deeply spiritual and always positive in nature. It pertains to vision, spiritual connections and creative imagination. The only aspect a person with lavender in their aura needs to be aware of is staying connected to the physical even when things are boring – lavender folk are life’s daydreamers. Silver is a spiritual color which highlights abundance. The silver in an auric field will show in the bodily area related to the abundance. A patch of very bright intense silver indicates one of 2 things – abundance of money coming or already in possession or a significant spiritual event (usually a deeper awakening). You can read here an article about what a spiritual awakening is for. Metallic TRANSCLUCENT Silver – indicates a person who is nurturing. They are also highly intuitive and the people who come up with new ideas. Muddy Grey – patches of muddy grey indicates a build-up of unreleased fear in the body. 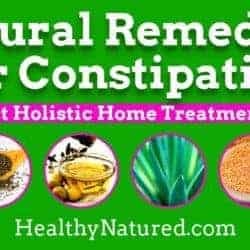 This can lead to blocks in the chakras and imbalance of bodily energy. This color can indicate or lead to health problems associated with the physical bodily area where the muddy grey is located. Dirty Grey seen as a film or thin transparent overlay — this shows there is a blockage and imbalance of blocking of energy. 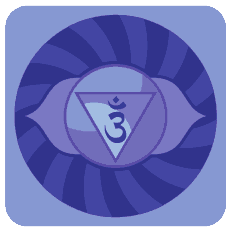 If all chakras are balanced then this indicates a sceptic nature and mistrust. It is important to engage in meditation or spiritual development to clear blacks in the energy field. You can find an easy chakra meditation here which will ensure balance of energies and remove these grey fields. Gold is a magnificent color to find within the aura. It indicates a person who has “divine protection” and who is enlightened or on the way to enlightenment. The person with gold in the aura is encased in divine and universal guidance. This person is full of life and universal wisdom. They have inner peace with highly developed intuition and spirituality and are teachers, leaders and guides for others. Black is probably easy to guess the meaning and is often used in folklore and literature for associations with negativity and being on the wrong path. While not always of a negative nature black is associated in history with negative events for good reason. Black is the color that contains all color – it is dense and is associated with capture and transformation. Black usually indicates a person with an unforgiving nature. These people need to clear the black from the aura before serious health related problems ensue. Black is often associated to past life problems, unreleased negativity and anger and usually shows a great deal of stored emotional grief. It is important to remember that black can be released and can be transformed. White also has significance and a base in folklore and literature. White contains all color and because of this it also reflects all color. Therefore it in essence reflects all color energy to wherever it is best used and needed for our physical, emotional and spiritual well-being. White is the universal color of protection. Seeing dense patches of white or a white outer layer of the aura signifies a person who knows and speaks only the truth. It indicates a person of great health and purity and an individual with “angelic” qualities. If you see flashes of bright white or sparkling dots and white sparks this means angels are with you and communicating. Note: If there is ever a Dirty Grey White seen this color can be indicative of possible or potential illness. This color needs to be cleared from the aura. Any other color seen, that are reminiscent of the colors found in the natural world and also look similar to the image and shape of the natural substance i.e. soil, wood, minerals and various plants are signs that the person is attached to the earth and grounded physically. Often these colors and shapes are seen in those who work or live on the land and nature. The only earthly shade that requires attention and clearing is a dense patch of solid brown. This would indicate a person who tends to be greedy and who is often close minded and self-absorbed. If the brown is not solid and dense but appears to be a translucent film or overlay (you can see the other colors and fields below it) this indicates a person who is holding onto insecurity and stored negative energies. This needs to be cleared using chakra meditation techniques before ill-health develops. In some people you may see actual Rainbows (usually as a straight line rather than the arch typically thought of) which emanate from the hand or head (however can emanate from any part of the body). These rainbows indicate a highly developed and gifted spiritual energy healer. 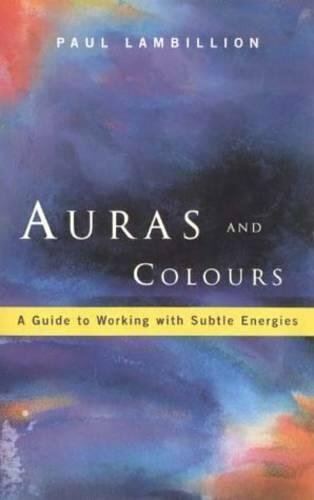 I hope you have enjoyed this post on the meanings of aura colors. If you would like to ask questions or make comment please do so using the comment thread below. Or alternatively contact me directly by clicking here. What a cool article! I was amazed as I was reading it because that subject interests me for a really long time. I have heard about chakras before, but never really gave it a close attention like in this one. I am glad I found you. I think it is essential to meditate and to connect with your inner-self – in that way you will feel more grounded, energetic and dominating in your life. I had a good read thanks. It’s easy to forget that our aura is constantly changing along with our mood, health, energy, etc. I hear a lot of people saying `the color of my aura is…`. Thank you for such an informative post. 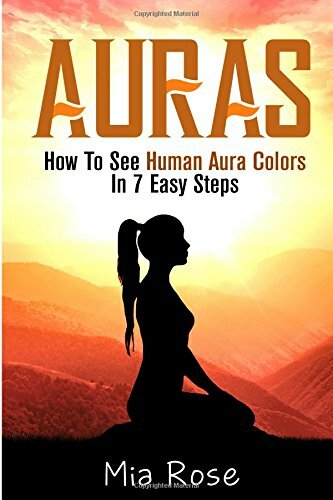 I often research about auras, but had not found such good descriptions of the colors. 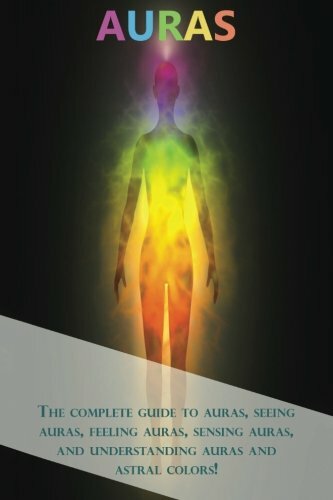 Are you a healer, can you see auras yourself?